With Litmus Live approaching (along with a few speaking gigs of my own), I've been thinking a lot about how to improve presentations. 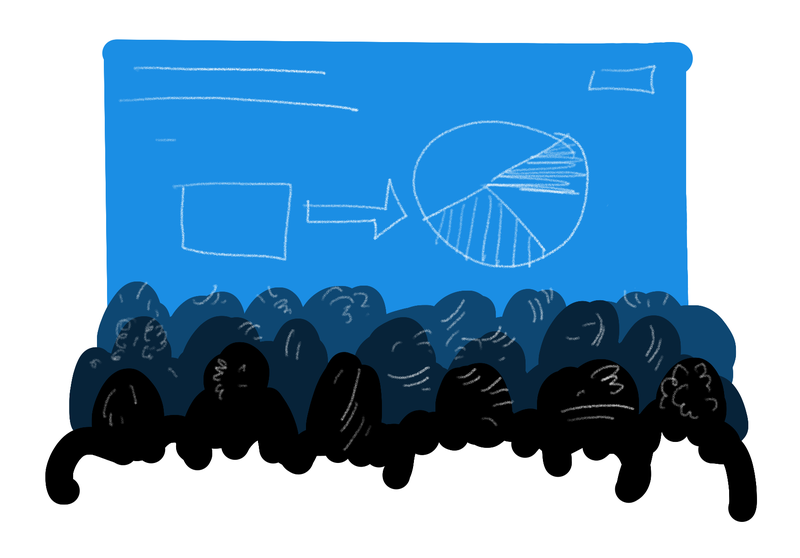 Here are my tips for building better slide decks. Hopefully they'll help out if you're prepping your own presentations. Firefox just released the new Accessibility Inspector, which prompted me to revisit some additional tools for improving email accessibility in Firefox. 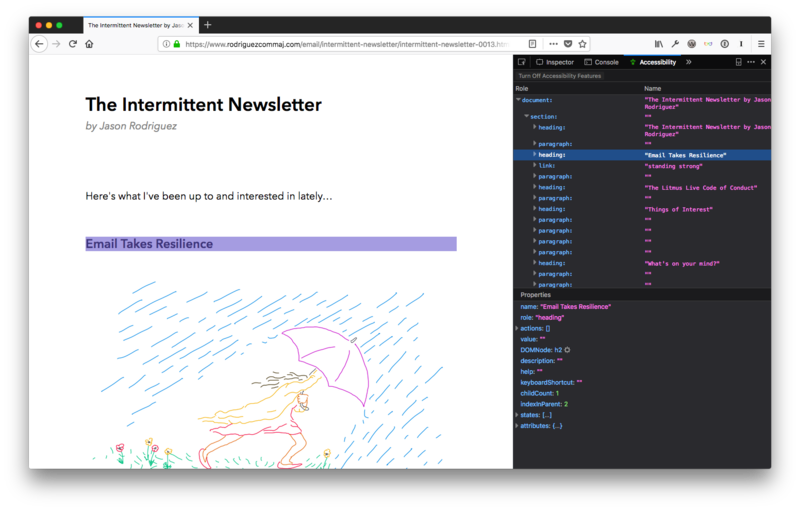 Anna Yeaman from Style Campaign just published an amazing article on typographic grid systems for email, something that may be familiar to web designers but is rarely talked about in the email industry. Bookmark it. An excellent analysis from Jason Kottke on the function of newsletters and the pervasive fear of the unsubscribe. I wish actual email marketers would take this to heart. I mentioned I'm in conference mode… Here are some great tips on writing better conference pitches. The focus on the attendee over yourself is 💯. I like collecting quotes, which I routinely publish on my website as reminders to myself. I thought I'd start sharing them in my newsletter, too. Here are a couple of recent favorites.